How clean is your nail spa? Watch this short video to learn some things to look for! If you enjoy having a professional manicure and pedicure, but worry about the possibility of germs and infection, you’ll like what we have to offer at The Foot & Hand Spa. We follow the same strict cleanliness standards as a hospital, and are supervised by an onsite board-certified podiatrist. Read on to see what makes us different from other nail spas in the Richmond area. Then come see us! Licensed, professional pedicurists who also know about foot anatomy and conditions affecting the skin and nails. Board-certified podiatrist on site, overseeing care. Extreme cleanliness — we follow the same stringent sanitation and sterilization requirements as a hospital. Specialized care for people with health needs, including diabetics and chemotherapy patients. Coordinated care with your doctor when needed. Weekdays, 9 a.m. - 5 p.m. Limited early evening appointments are also available, and we're open half-days three Saturdays per month. Advance appointments are recommended, but same-day appointment requests are welcome, subject to availability. 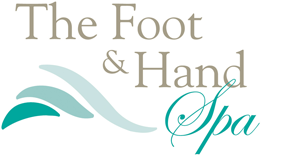 At The Foot & Hand Spa, we take a holistic and aesthetic approach to foot health. As a medical spa, we offer traditional spa services, but you’ll notice a big difference. We place a premium on the cleanliness of our spa and the quality of our skin care products. We also have an onsite Medical Director, Dr. Mitchell Waskin, a board-certified podiatrist in the Foot & Ankle Center. Dr. Waskin works with our professionally trained nail technicians and oversees our services — which takes on added importance if you have foot problems or other health issues such as diabetes or if you're undergoing chemotherapy. According to the Environmental Protection Agency, infectious organisms thrive in warm, moist places, such as the footbath systems used in spas. At the Foot & Hand Spa, you don't have to worry about this. We use jetless footbath tubs and our EPA-registered disinfectants and sanitation procedures meet or exceed OSHA (Occupational Safety and Health Administration) standards for maintaining a clean environment and preventing the spread of germs and infection. In fact, our instruments are sterilized with the same techniques used by hospitals, and we never reuse disposable items like buffers and files, so you can relax and enjoy your manicure and pedicure without worrying about germs and infection. We invite you to come and experience our medical-grade spa difference! Please note: Our spa pedicure chairs support up to 350 pounds; please let us know when you book your appointment if you require alternative seating, and we will be happy to accommodate you.